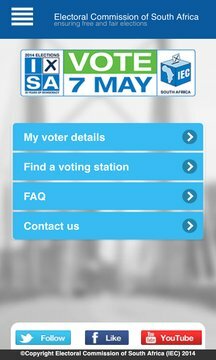 This official IEC South Africa app allows you to view your registration status and details, find a voting station and keep up to date with the IEC via social media. 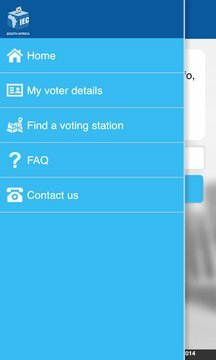 Download the app now to stay informed on the 2014 elections. The application requires Internet connectivity and location service.